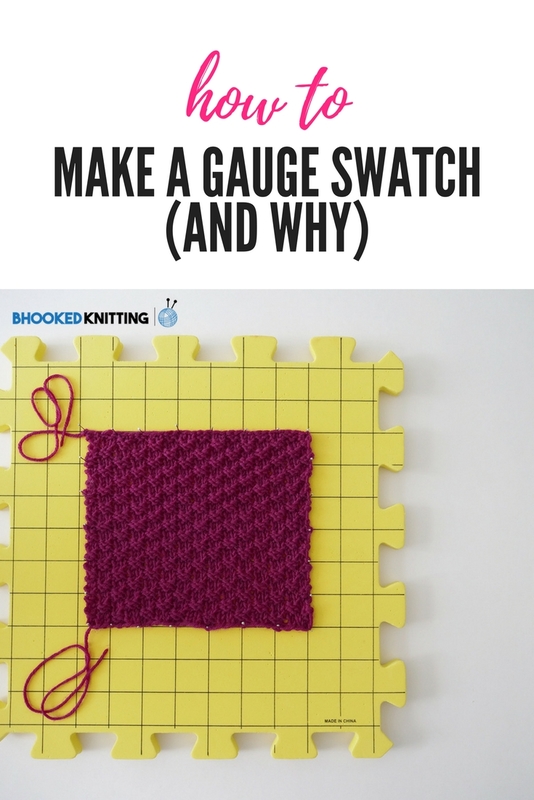 Everyone tells you to make a gauge swatch. Here’s why. When was the last time you worked tirelessly on a project only to find that it didn’t fit? This is the reason making a gauge swatch is so important – some of us crochet/knit tightly, some more loose. Gauge is the bridge between your unique crochet/knit style and the designers. Without having the designer right there with you, gauge is the only thing you have to reference to make sure your stitch size is the same. It’s your blueprint, if you will. Making a gauge swatch, although seemingly boring and unnecessary, gives you the green light to invest 10, 15, 20+ hours into a project you know will fit. I’m all about saving time, even if that means I need to invest a little upfront. We can get really deep into the topic of gauge but I prefer to tell you just what you need to know so you can get on with your project. In this tutorial, we’re going to learn the basics of gauge swatches – the where, why, when, how. Gather the yarn and tools indicated in your pattern and let’s get to work! You SHOULD make a gauge swatch if you’re working on a project where sizing is important – garments, hats, headbands – if you’re going to wear it (and you want it to fit) make a gauge swatch. You SHOULD make a gauge swatch if you need (or want) to substitute yarn. Even if you choose a yarn within the same weight category, there are subtle size differences that could potentially change the outcome. Fiber type is also something important to consider. 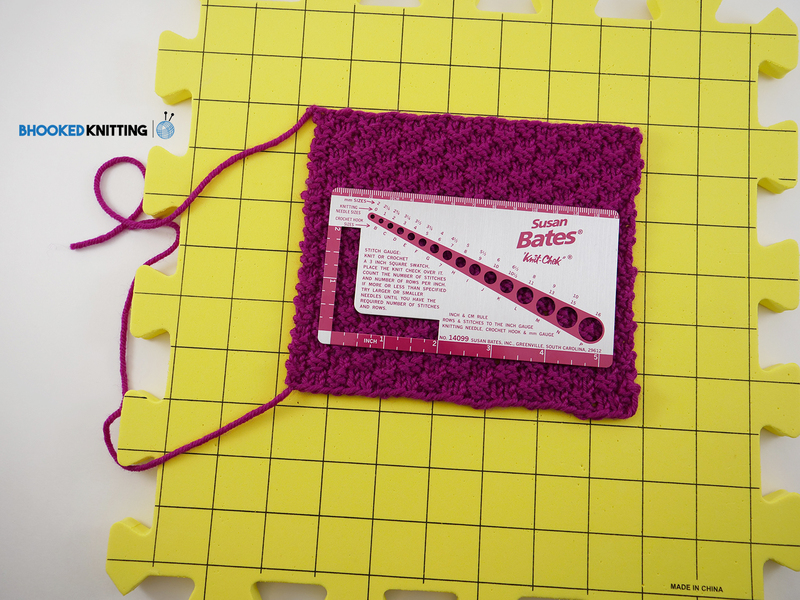 You SHOULD make a gauge swatch if you need to substitute hook or needle size because you do not have the size recommended. Even if it’s just a slight difference, your hook or needle is what determines stitch size and ultimately the size of the project. Your gauge swatch should be slightly bigger than a 4″ by 4″ square. You need to work your swatch in the double moss stitch. You must block your swatch before measuring it. A good pattern will include the stitch pattern (in this case the double moss stitch) if the gauge is measured in something other than a basic stockinette, single crochet, garter, etc. Steer clear of patterns that do not include gauge. 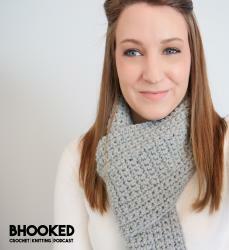 Using the stitch instructions in your gauge and pattern, knit or crochet your swatch. When casting on or creating your foundation chain, be sure to work within the stitch multiple if there is one (4+2 in the case of the double moss stitch, also listed in our pattern) and make sure it will be at least 4″ wide. 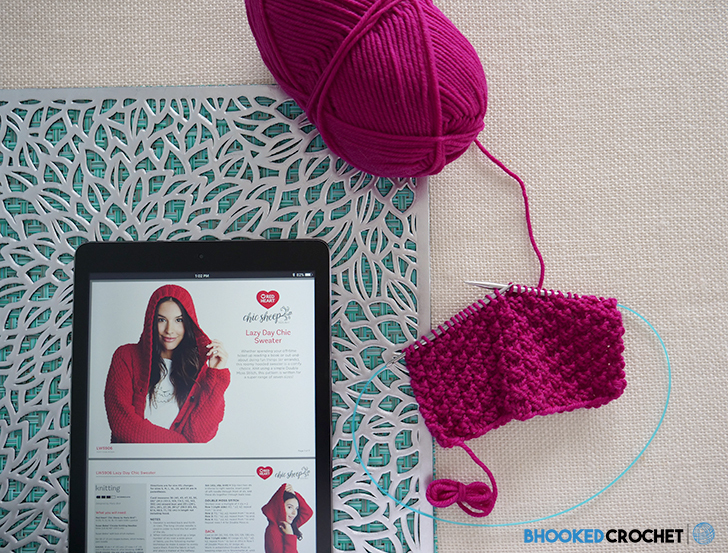 Work through your stitch pattern until your swatch measures at least 4″ tall. I tend to work a few rows longer than my target length so I can measure accurately. Cast off/fasten off. Carefully align your ruler or gauge check tool along a single row of stitches being sure that your starting point aligns with the left edge of a stitch. Count the number of stitches in the gauge measure – in this case, 4 inches. Rotate your ruler and measure the number of rows in the gauge measure – again, 4 inches here. What Do You Do if Your gauge doesn’t match? Scenario #1 – You counted more stitches and rows than the gauge specified. This means your gauge is smaller than the designers and you need to go up at least one hook/needle size to match. If you choose to do nothing in this scenario, you’ll end up with a project that’s too small. Scenario #2 – You counted fewer stitches and rows than the gauge specified. This means your gauge is larger than the designers and you need to go down at least one hook/needle size to match. If you choose to do nothing in this scenario, you’ll end up with a project that’s too big. It’s important to realize that if your gauge doesn’t match the first time you didn’t do anything wrong. If anything, you did the right thing because you determined that your crochet/knit style is slightly different than the designer’s and you saved yourself a lot of time by finding this upfront. This will mean you need to work up another gauge swatch but it’s time well spent – your project will fit as a result of your extra effort. A good rule of thumb is to go up or down one hook/needle size at a time until you get it right. I want to stress this a little more – measuring a gauge swatch that doesn’t match the pattern on your first attempt does not mean you did anything wrong. This is an exploratory process to align your unique style with the pattern. The lessons here were learned the hard way. I hope to spare you the frustration and loss of time that comes with skipping this step for projects that need to fit. If you have any questions, please leave them in the comment section below. I’m here for you and I’m happy to help.